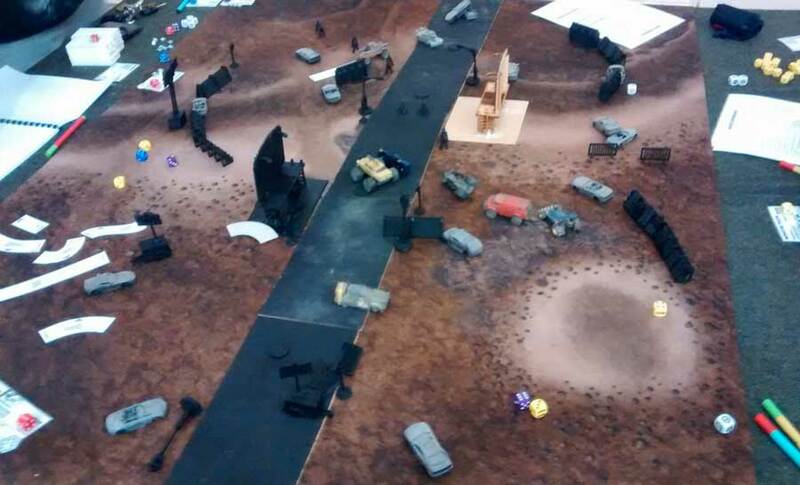 Gaslands went through 18 months of playtesting before I handed it over to Osprey. 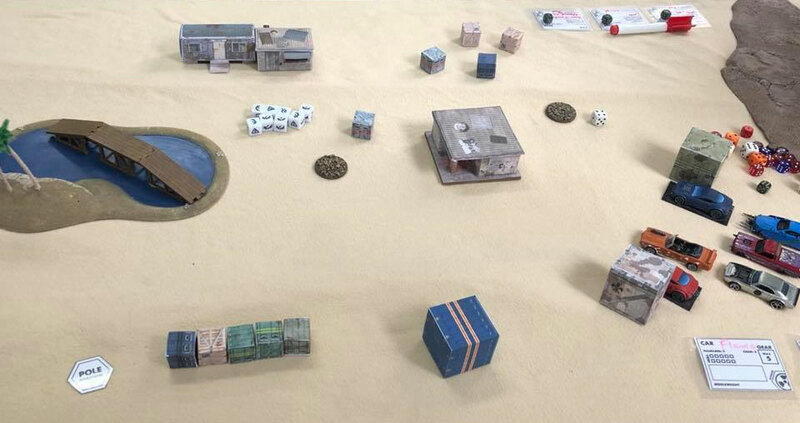 Partly, this was because the publishing schedule gave me this time, but mostly this was because I was certain that I couldn’t make Gaslands the best game it could be without showing it to as many people as humanly possible and getting all their feedback somehow. 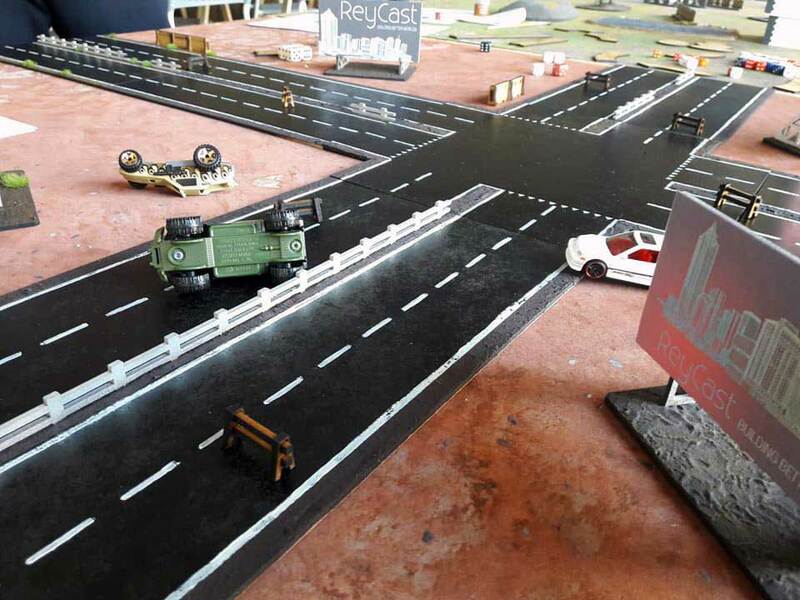 I set up the Gaslands website, and made it so that people that signed up to the forum could access a secret playtesters-only page. I asked them to read and play the game, and post their results using a Google Form, and any questions or idea directly onto the forums. By the end I had more than 300 people sign up for the beta testing. It was awesome! During playtesting sessions, I took notes, made edits and wrote down player comments or problem areas the game threw up. After each session, I went back through my notes to make edits and changes to the rules. Sometimes I would jot down a big problem area that was identified and start iterating solutions or alternative systems to handle that problem area. I love that part of the process – spent with a pencil hanging out of my mouth, staring out to window, and the moments of inspiration when a new solution idea strikes – but the most fruitful moments of the process proved to be during playtesting. How do you playtest a tabletop game? How do you get the most out of your playtesting? How to ensure that, as a games designer, you are getting the best and most useful information from your playtesting sessions? The best book about playtesting games that I have ever read is called The Mom Test and it has nothing to do with playtesting games. In short, The Mom Test says that people are inherently socially biased towards lying to you when you ask them if your “thing” is any good. People (on the whole) want other people to feel good about themselves, and they don’t want to hurt each other feelings deliberately. If you ask a question that betrays a personal involvement in a project, people are more likely to want to placate you with a vaguely positive, but not completely truthful, cop-out answer. So if you ask: “do you like this game that I made?”, they are highly likely to say: “yeah, it’s good”. If you ask: “have you ever paid money for a car combat game in the past?”; you are likely to get a more truthful answer. This technique can be used more specifically too. Rather than “do you like the special rules for driver perks”, you can ask “have you used the special rules for driver perks in any of your games yet?”. If you want to write a good game, I highly recommend you read “The Mom Test”. During a playtest session, you want to be a fly on the wall. You want, as far as possible, to observe the players struggling to play your game, without you guiding their hands or their attention. In this way, you learn which parts of the rules or the rulebook are difficult to understand, or easily misunderstood, or counter to the players intuition. Unprompted, they filmed themselves playing the beta game on three separate occasions. 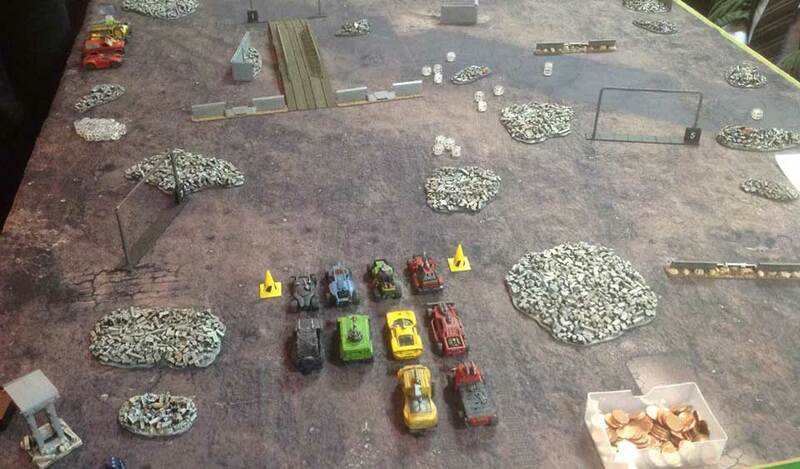 Trying out a general skirmish, a death race, and the defend the rig scenario. What was so valuable about watching these videos was that I was watching players that I had never explained the game to in person attempting to play it. They had only read the rules, which is how all the ‘real’ players will experience the game once it is published. The assumptions, mistakes or house-rules they made during their play-throughs were extremely illuminating: highlighting areas of the rules that weren’t yet clear enough. Observing without guiding allows you to fade into the background and gather much more valuable information about how the players understand your game and your rulebook. You should never ask for positive feedback. You already know your game is cool, you wouldn’t have written it if it wasn’t. However, it can always be COOLER, so what is stopping it being cooler? That’s the only question you are trying to answer during playtesting. So ask for positive feedback, it’s worse than meaningless. Whilst you’re having your ego stroked, your ignoring the problems that are stopping your game being as cool as it can be. Some practical advice: at the end of every session, always the playtesters, individually: “what didn’t work for you?” or “What was the weakest part of the game today?” If you ask them: “what did you think?” or “did you like it?” you will learn nothing. They’ll placate your ego. “Yes, I really liked it,” they’ll say, and you learn nothing. During playtesting, you should be vigilant for a few things. They are valuable indicators of the areas of the game that need the most work. You should always be on the lookout for moments of no-fun. The moments where the energy drops around the table. Maybe one player is fiddling around with some part of the system, and the other players have no stake in it. Maybe a player has been knocked out and it’s just sitting there on their phone. Maybe one player is suddenly able to do something huge and horrible to another player and neither feel good about it but the game seems to be suggesting that it’s the smartest move in that situation. 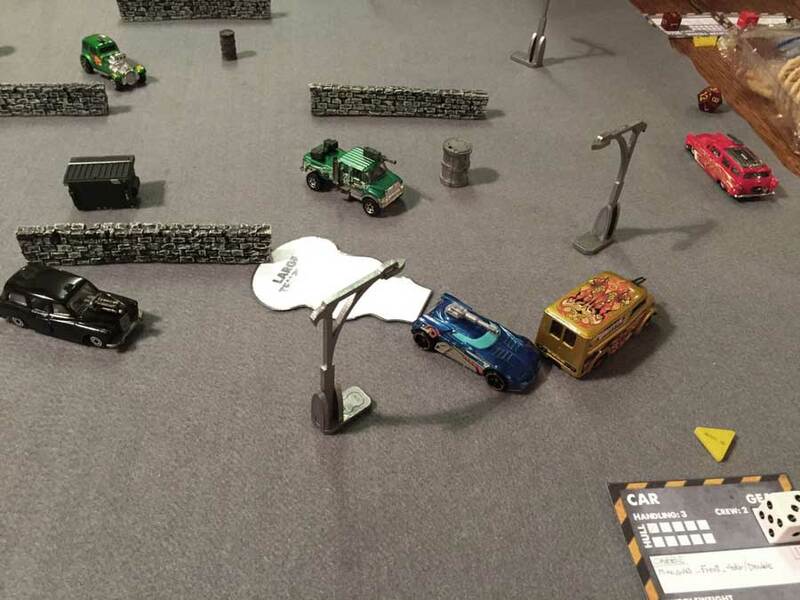 In Gaslands, we had plenty of rules that we removed or replaced because the alternative was more fun, even if it was either less realistic or less clever. You should always be on the look for moments of player disappointment. This shouldn’t be confused with people getting salty at a bad dice roll or been out-played. You are looking for the moment when someone’s eyes go wide with a cool possibility, followed be the disappointment when they learn that either that isn’t possible in the game, or the game isn’t about that. 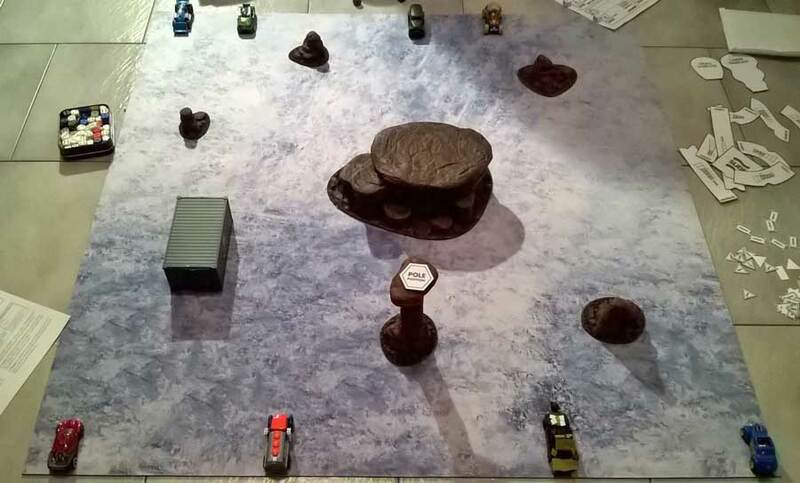 Throughout Gaslands playtesting, players would get into the cinematic storytelling of the game. 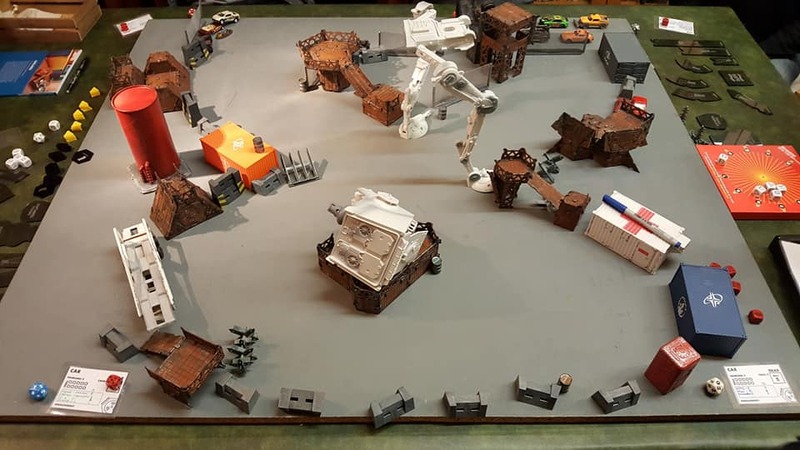 At it’s best, the physic engine of Gaslands helps provide cues to the players imagination for when cool cinematic things are happening to their vehicles. When a rule forced the vehicle to do something both unexpected and (crucially) less awesome than the thing they imagined would happen, that needs fixing. Look for moment of cognitive dissonance. Some of the most valuable moments in a playtesting session are when you see a confused look on a players face. These are great! Stop the play for a moment and ask the player what just happened, and what they EXPECTED to happen at that moment. This will highlight things that are either surprising (which could be good or bad) or unintuitive in your design. Look for moments of boredom or disengagement. If you are either participating in or just watching a playtest session, be on high alert for moments when players minds start to wander. Are they checking their phones, making disruptive jokes or just sitting staring? All of these signs could point to a failure in either your game’s rhythm, as there are no decisions for that player to be considering right now, or immersion, as the player is not connected with either the action at the table or the story it is trying to tell. It is natural, when one of the techniques above throws up a problem with you game, to discuss it at the table, and for the playtesters to suggest solutions. Be wary of this. Neil Gaiman & Robin D. Laws both said, in different words: “When someone tells you there is problem with your game, they are almost always right. When someone tells you how to fix that problem, they are almost always wrong.” This isn’t a rule, but its a very good guideline. Conversely, be wary of “not invented here” syndrome. The idea or rule that is best for the game you be the one you use, regardless of the source of that idea. Just because you thought of it doesn’t make it the best idea, and just because a playtester thought of it, it doesn’t mean you can’t use it in your game. Playtesters want to contribute to the final game, that’s why they are participating in the process. One other thing that’s not immediately obvious is that you can be learning about how good your game is without even playtesting it. If you ask gamer friends about games that might be similar to yours, either in theme or mechanics that they either play, or don’t play, you can learn valuable things about your game. If they played it and didn’t like it, what didn’t they like? If they have played it and love it, what’s the thing that keeps them coming back to it? Even though they love it, what is the one thing they’d change? You can take this intelligence and apply it your game. Its obvious that playtesting is a huge factor in making a successful game but it’s all too easy to take the wrong information away from playtesting sessions is you aren’t disciplined about how you approach them. I hope these tips are useful, and feel free to ask me anything about them in the forums. 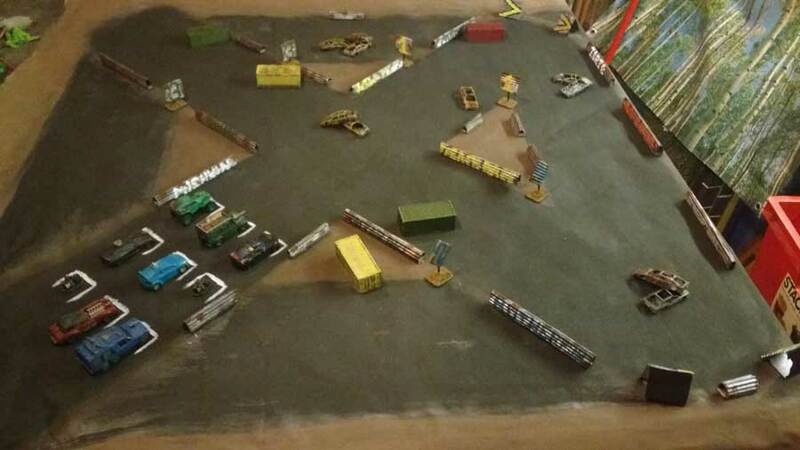 All of the photos in this article have been taken from our official Gaslands Facebook group. Thanks to Jason October for the cover image!